Medicine Rocks State Park in Montana and was the sad story of how they've found where a lonesome sheep herder named Herbert Dalton in 1904 carved a likeness of his lost love into a sandstone bluff. He was from Ireland and, according to the article, "she wouldn't come West." The carved portrait shows a profile with a "sweeping turn-of-the-century bun and facing her, a bird in flight offering a delicately drawn flower." So sad. I did some looking and did find a Herbert Dalton, age 33, single, born April 1867 in Ireland, immigrated in 1872 and was naturalized, living as a farm laborer/sheep herder in Flatwillow District, Fergus County, Montana, on June 21, 1900 (U.S. 1900 census). I did not find him in the 1910 or 1920 census. Nor could I find him in any online Montana death databases. Is there a Dalton family somewhere looking for a lost Herbert Dalton?? Do you look for these sorts of things and do they motivate you to go find "the rest of the story?" 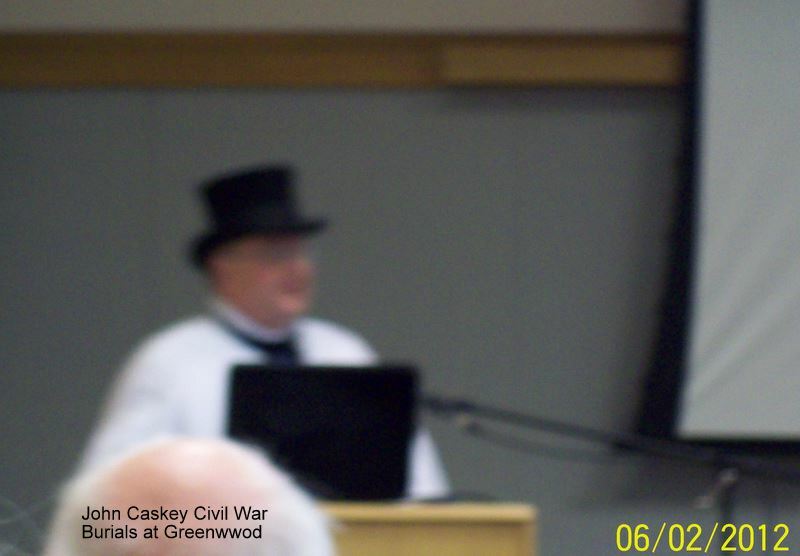 Did you know that there is a thriving historical society in the Clayton-Deer Park area? EWGS member Sharon Clark is the editor of Mortarboard the society's newsletter and the issue I'm holding is #48 so it's been around for a while. Their mission statement reads: "The Clayton/Deer Park Historical Society is a group of individuals dedicated to the preservation of the history of the area just north of Spokane Washington. The Society collects oral, literary and pictorial history to publish and otherwise make accessible to the public. The C/DP HS meets on the second Saturday of each month at 9:00am at the Clayton Drive-In, located just off Hwy 395 and Railroad Ave."
The lead story in this issue was the "Saga of the Loon Lake Copper Mine," by Peter Coffin (VP of the group). Photos, descriptions (lots of mining information) and names were mentioned in the article. This would be a great resource if your ancestor worked for the Loon Lake Copper Mine in the 1890-1920 era. Click to visit their website: www.cdphs.org and visit with Sharon Clark at the next EWGS meeting. The 5 Minute Genealogy series is an on-going set of videos that covers a wide variety of topics in a simple and easy-to-follow format. They are available free of charge to the public through the FamilySearch website. View this video by clicking here! 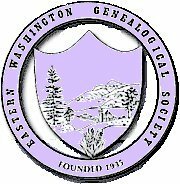 Our EWGS team helping with the 1940 census indexing project has indexed over 60,000 records..... and closer to 65,000 by the time you read this. For a relatively small group (35) that is phenomenal, don't you think? I'm betting FamilySearch will have the 1940 census up and available to us before Ancestry does. Several states are indexing-completed but not arbitrated and posted yet...... but at least five states are 100% ready: Nevada, Maine, Washington DC and Delaware. Welcome to Summer! The Summer issue of the Digital Digest is now ready. Just go to http://www.ewgsi.org - sign in, go to your "Members Only" and select the "Digital Digest". This issue is packed with interesting and fun tidbits of genealogy news. A special thanks to Gerry Gosche for her dedicated time as our proofreader. While you are on your website, don't forget to look at the EVENTS section. The details of the Fall Workshop are now online. Register today as September isn't far away. Remember.... you can now add your own surname(s) to your profile. Select the "Surname Research" category, select "Add Surname" and follow the screens. It's really easy!! Hope everyone enjoys the Summer Digest. There are some great articles and tips...and even a book review by yours truly!